Showrooms and conferences on digital trust technology. A collection of international attendees and 250 exhibitors. Foster conversations on cybersecurity trends in primary categories including financial, retail, government and more. Experts in digital security need an intuitive platform that matches their technology expertise. The event is a truly international one, meaning that we have more than 82% of international people. And that's a very digital one because it's the aim of our business. That's the reason why we really need an app dedicated to networking. The app we used to use was getting a bit old, a bit outdated. Our community is very tech savvy and involved in digital, in technologies. The app was only for the content and there was no interactions. This networking option was missing from our former tool, so I was in charge of finding a new solution. Out of 5, average rating of sessions. As an event for leaders of digital security, Trustech knows technology. They also know the industry is continually evolving. Thus, they need to evolve too. For their 2018 event, they sought out a platform that encompassed the full potential of their forum. Trustech needed an event app that offered more than just content; they needed to facilitate meaningful networking—a feature that was missing in their previous tool. Swapcard fostered engagement among their attendees, exhibitors and speakers by using matchmaking powered by AI and customizable scheduling solutions. Preparing in advance allowed exhibitors and attendees to personalize their event program, schedule meetings with other participants and save themselves time. The app for an exhibitor and for the visitors is the first step in their preparations. It's an opportunity to look at the exhibitors' list, the delegates' list and the floor plan. Swapcard is useful for exhibitors because it means that they can get ahead of the game. This is the 3rd time we are joining Trustech Exhibitions. So far, our experience is great. We met a lot of potential customers and made lots of connexions. So basically the app is great, it saves a lot of time. It's amazing! 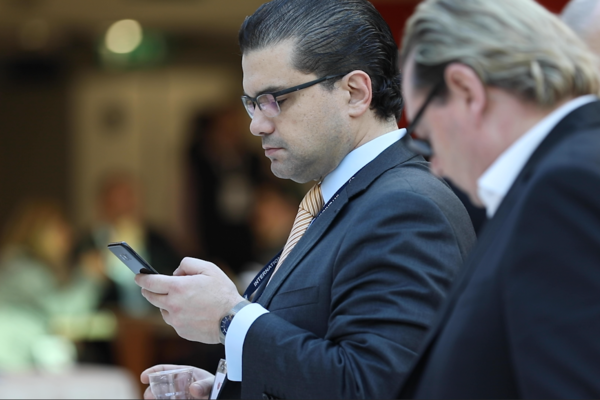 Trustech: Digital trust technology meets an innovative networking event app it can trust. Do you organize forums for digital innovators? Speak with our experts.